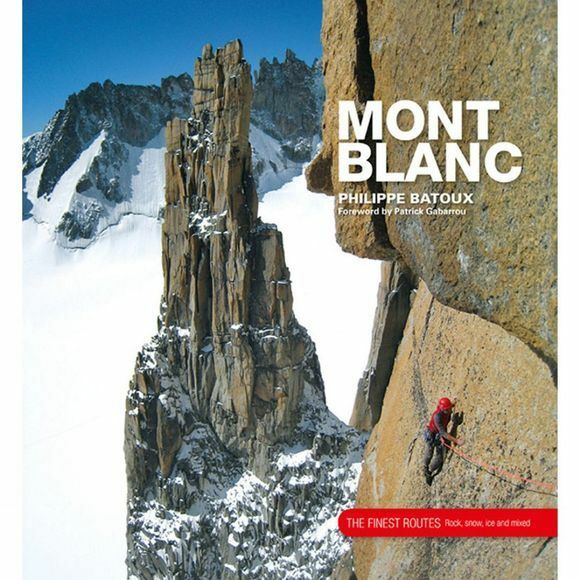 Modern alpinism is a multi-faceted activity for which the Mont Blanc Massif is the perfect playground. Classic routes to which every mountaineer can aspire are surrounded by the towering rock faces, huge mixed walls, precipitous ice shields, serrated ridges and narrow gullies that define the massif's harder climbs. Preference has been given to routes in the modern idiom, whether they are gullies that only form in winter, difficult free climbs on high-altitude cliffs, long ridge scrambles or traverses of major summits. There are routes here for all tastes, from famous classics such as the Cosmiques Ridge on the Aiguille du Midi, the American Direct on the Petit Dru, the Whymper Couloir on the Aiguille Verte, the Walker Spur on the Grandes Jorasses and the Kuffner Ridge on Mont Maudit to more recent gems such as Je t'ai conquis, Je t'adore on Pointe Lépiney, No Siesta on the Grandes Jorasses and Le Vent du Dragon on the Aiguille du Midi.